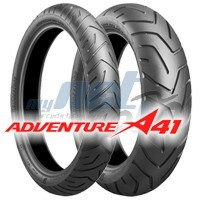 Bridgestone A41 with improved wet grip and handling, without sacrificing the mileage of its A40 predecessor. The package features triple-layer compound technology on front and rear, with a cap & base configuration that improves cornering stability. 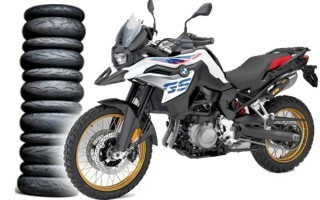 Of particular interest for the majority of bikers who ride Adventure machines on road, Bridgestone tests recorded 8%³ faster lap times for the new Battlax A41 on a wet handling track demonstrating the extra performances and safety they will get on the road.